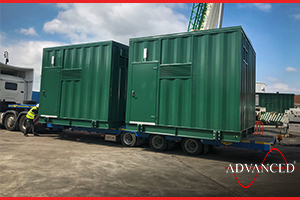 These two ADVANCED designed & built Bespoke HV Switchgear Housings are being loaded to be dispatched to a UK airport where they will be integrated into the National Grid. 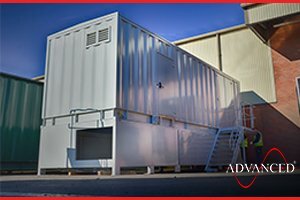 These heavy duty Switchgear Housing Support Frames designed & built by ADVANCED make for easy access to the cable entries on the underside of the enclosure. 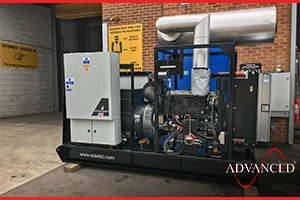 This Perkins 200 kVA Open Disel Generator designed & built by ADVANCED is part of the ongoing telecoms special build project. 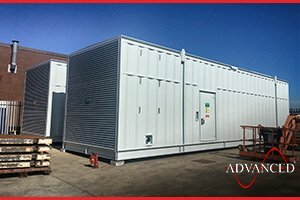 We have some 30 units for this project in build at any one time for the forseeable future. 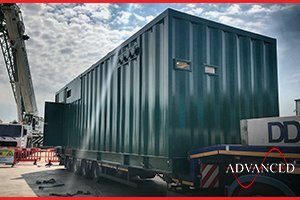 This ADVANCED designed & built Bespoke HV Switchgear Housing is being loaded for delivery to Sheffield where it will be connected and integrated into the UK National Power Grid. 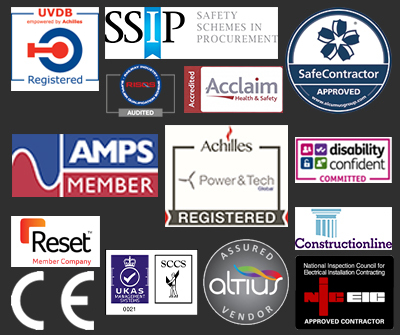 The project is part of our ongoing National Framework Agreement. 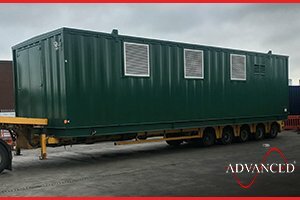 This bespoke Modular Switchgear Housing designed & built by ADVANCED is being dispatched to a local substation near Doncaster where it will be integrated into the National Power Grid. 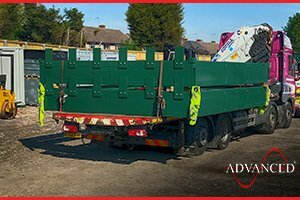 A further two ADVANCED designed & built Acoustic Enclosures for large gas generators are being loaded and shipped to the client for fit out. 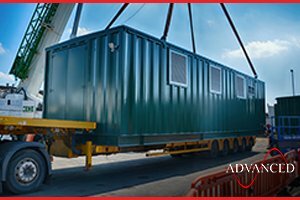 This custom-built Switchgear Enclosure and heavy-duty support frame were designed & built by ADVANCED. Final destination - a UK fertiliser manufacturer. 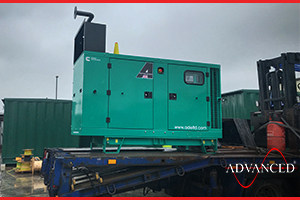 A further two 3000 kVA Cummins Acoustic Diesel Generators are loaded for dispatch to a UK data centre.